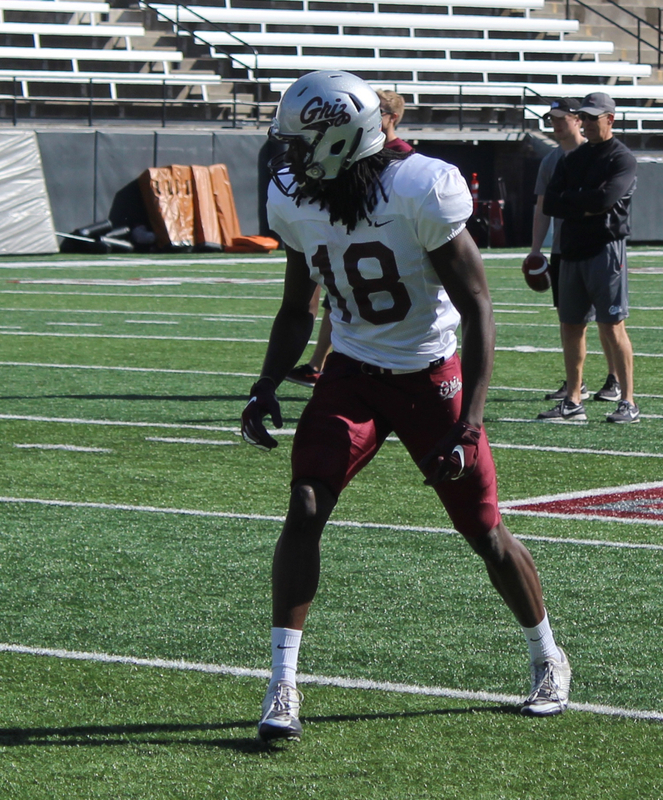 Both players and coaches adopted a cautiously optimistic tone after Montana football’s first spring scrimmage Friday. “It felt good. We still have a long way until we’re game-ready or anything, but it felt good to get out here and hit each other and do some live,” wide receiver Sammy Akem said. The scrimmage Friday was the first of three this spring, with the next coming on April 5 and the Spring Game in Kalispell on April 13. 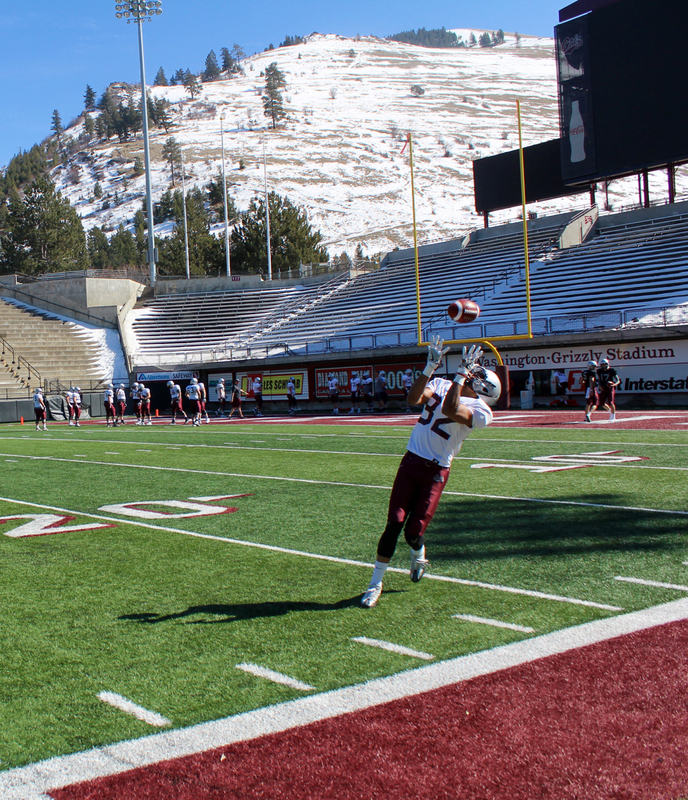 The Griz started spring practice a week late because of bad weather, necessitating a compressed schedule leading up to Friday’s scrimmage. Entering Hauck’s second season back at the helm, the players have had more time to get used to what the coaching staff expects. Montana also returns a majority of starters on both sides of the ball. That familiarity was generally on display in a scrimmage that was crisp, given how early in the season it was. 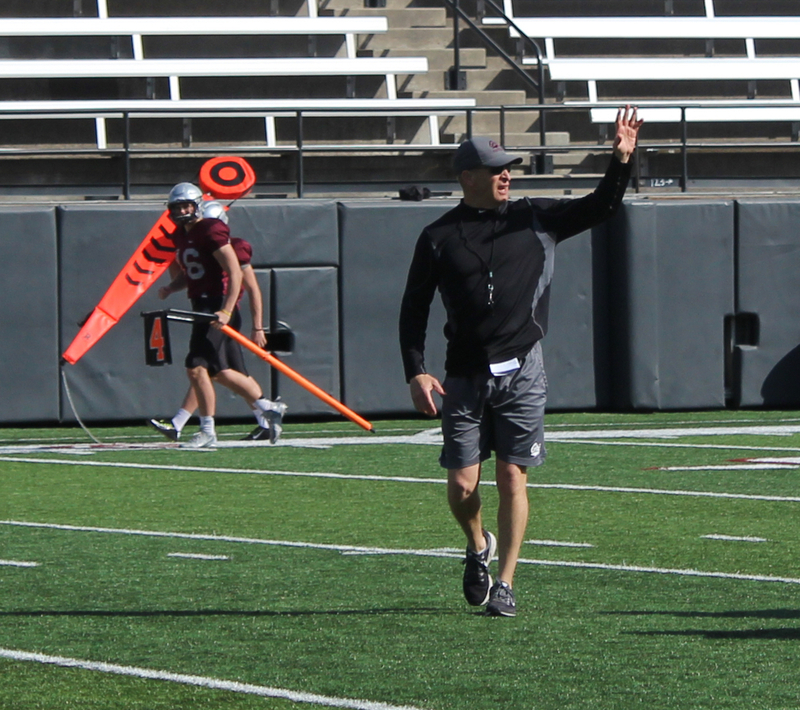 The offense, led by returning quarterback and Big Sky Newcomer of the Year Dalton Sneed, opened up well before the defense took over for most of the scrimmage. 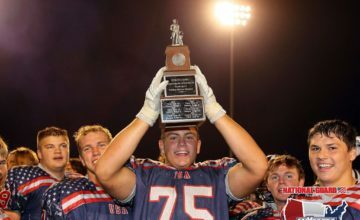 The first-string offense converted four of five short-yardage situations with sophomore Adam Eastwood running the ball. 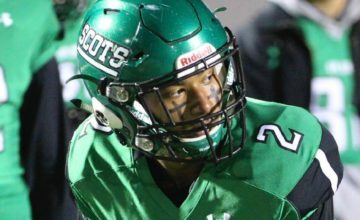 On their first drive, transfer running back Marcus Knight dove to catch a deflected pass before scoring from 3 yards out. A few drives later, in a last-minute situation, Sneed converted a fourth-and-long with a 30-yard throw to sophomore wide receiver Mitch Roberts. With time for one last play in the scenario, he then hit Roberts in the front corner of the end zone for a 12-yard score. Both the first- and second-string teams struggled to run the ball, a problem that’s carried over from last year. Redshirt freshman quarterback Garrett Graves looked like the biggest running threat, going live for a series or two and escaping the pocket for decent yardage a few times. After a 40-plus yard field goal by Brandon Purdy, the defense took over fully. Kobey Eaton picked off a deflected Wheeler Harris pass and returned it across midfield. 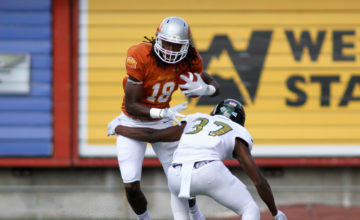 Knight, who transferred in from Citrus College in California and is expected to compete with Eastwood for the starting job, fumbled on a big hit from cornerback Josh Egbo. Sophomore safety Robby Hauck recovered for the defense. Graves finished the trifecta of turnovers by rolling out and throwing the ball right to cornerback Kadeem Hemphill, redeeming himself a little by sprinting downfield to get in on the tackle. “It’s awesome to see turnovers,” senior linebacker Dante Olson said. “No matter who it is, you’ve got to be happy for them, so it’s awesome to get out there, celebrate a little bit, storm the field. The special teams had a highlight too, with punter Adam Wilson booming one kick over 70 yards and then dropping a 55-yarder right on the 1. It was the second team that gave the offense some encouragement at the end. In fourth-quarter drills to close practice, junior Cam Humphrey hit a beautiful seam route to sophomore Gabe Sulser before redshirt freshman running back Drew Turner scored from the 2 to bring the session to an end. Hauck, while generally positive, was blunt in one assessment. The Grizzlies will have a week off for spring practice before returning to the field on April 1 for the first of two practices before the second scrimmage on April 5. Photos by Colter Nuanez. All Rights Reserved.